When most people think of disposable gloves, they think of flimsy, inexpensive latex models; however, while latex gloves are often sufficient for small jobs, many industrial applications demand a much tougher type of disposable glove. Nitrile gloves are hypoallergenic. Many people experience skin irritation and allergic reactions when exposed to latex, whereas nitrile is completely non-irritating and hypoallergenic. This makes nitrile gloves UK personal care workers' and doctors' first choice as there is no risk of causing an allergic reaction in a patient while wearing nitrile gloves. Nitrile gloves are much more puncture-resistant than latex gloves. Nitrile gloves are approximately five times more puncture-resistant than their latex counterparts, something which is extremely important in professions (e.g. tattoo artistry, dentistry) where there is a risk of punctures transmitting blood-borne pathogens. 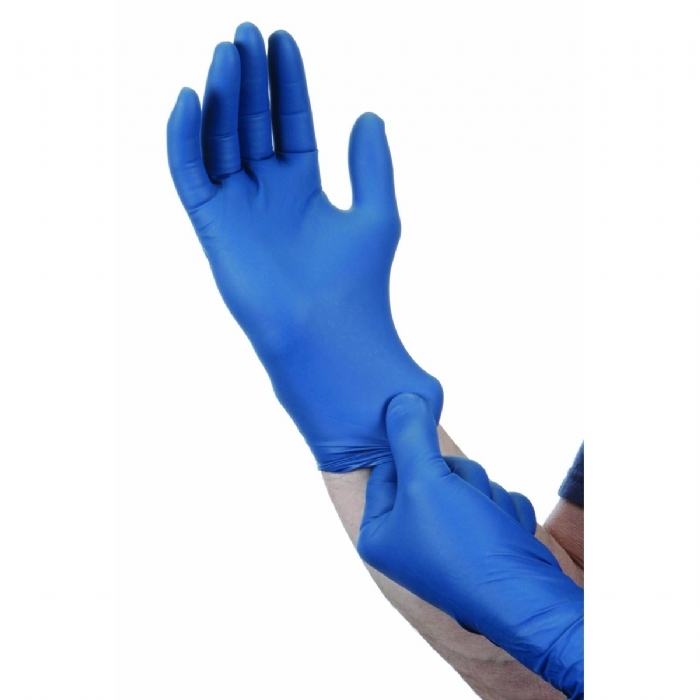 Nitrile gloves provide superior protection against chemicals. Chemicals, oils, and acids can easily erode latex gloves, leaving the wearer at risk of direct skin contact with these dangerous substances. Those working in the automotive, manufacturing, janitorial, plumbing, and paint industries are therefore advised to purchase extra-strong nitrile gloves. Nitrile gloves offer a superior fit. Unlike slippery, powdery latex gloves, nitrile gloves conform closely to the shape of the wearer's hands, allowing workers to snugly grip tools and implements. This not only makes it easier for them to work, it also helps to prevent workplace accidents. Nitrile gloves can be taken on and off quickly. Despite the snug fit described above, nitrile gloves are easier to slip on and off than latex gloves due to their low coefficient of friction. This makes them ideally suited to industries such as the food service industry and the medical industry where gloves must be frequently changed in order to avoid contamination issues. In industries like dentistry where extremely fine dexterity is required, professionals can opt for a very thin nitrile glove that allows them to experience optimal tactile feedback. In industries where durability is a must, such as heavy manufacturing, workers can choose extremely thick nitrile gloves which are able to withstand the rigours of their jobs. In summation, while latex gloves are the cheapest option, there's no question that nitrile gloves usually end up offering better value in the end. If you've never tried nitrile gloves before, consider making the switch for a few months—you’ll soon feel the difference.